Encouraging first game of the season with our hosts Coleshill batting first and our bowlers taking wickets at regular intervals GK restricted Coleshill to 228 runs. Our bowling was a mixture of some very good balls and rather too many wides(22 in total). Of the 11 wiickets taken 5 were bowled, 3 catches and 3 run outs. 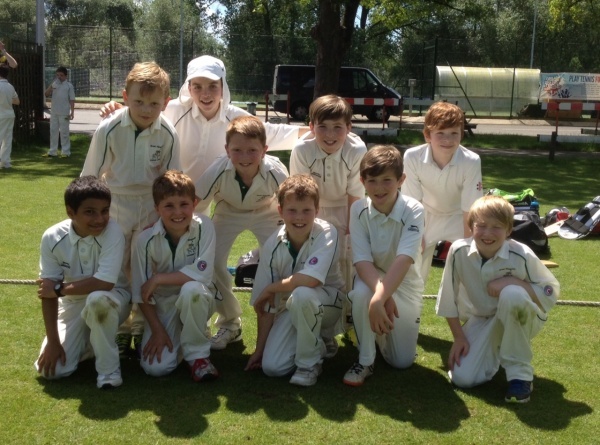 Excellent catches by Alistair and Rohan and a superb run out by Tommy with a direct throw at the stumps. In reply GK batted steadily and reached our opponents score by the 13th over despite 2 run outs. Tommy and Max took the score to 243 without losing a wicket and our last pair of Noah and Ollie added a further 11 runs despite 2 needless run outs. Al in all a very good start to the season.